Fennel or dill pharmacy" as it is called is a perennial herb that has long been known for its healing means. Grass is rich in vitamins, essential oils, organic acids. In Ancient Greece fennel was used to troubleshoot problems with digestion. Today pediatricians are advised to use to get rid of colic in newborns dill decoctions and infusions. In folk medicine, fennel is one of the most common plants. The use of drugs on the basis of the recommended for weight loss, the treatment of neurasthenia, bronchial asthma and other ailments. Fennel is indispensable in the care of infants, "dill water or tea, a decoction, an infusion of fennel is able to relieve unpleasant symptoms of flatulence, colic. Colic, manifested in spasms, excessive flatulence, bloating, may occur in newborns during the adaptation of the digestive system of the baby. To soothe him and save him from the pain, parents should use a proven recipe. Dill water-based fennel is a natural remedy that was used even by our grandmothers. Fennel improves peristalsis. 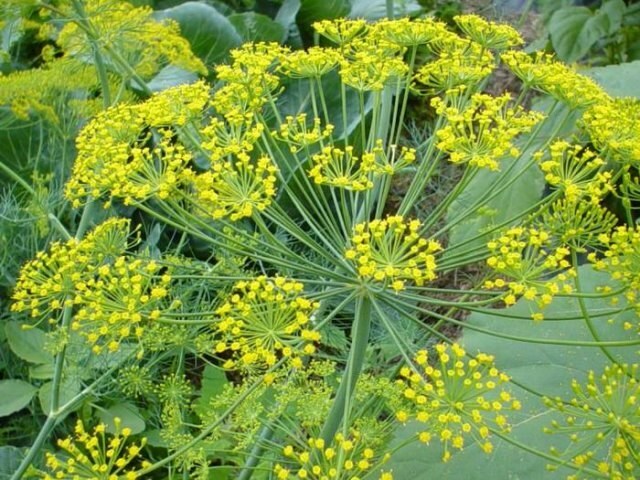 Medicine made from fennel helps in the complex treatment of the problem of colic. Essential oils are part of dill, reduce bloating. In addition, the herb fennel has antibacterial, antifungal and soothing effect. It relieves spasms of the muscles of the intestine, with the result that the child will cease to suffer from increased flatulence. Dill water accelerates the adaptation of the gastrointestinal tract of the newborn to the new conditions. This is a great alternative to pharmaceutical means from colic, insomnia. After taking dill tea based drink fennel baby will quickly fall asleep. Doctors often recommend taking tea at the base of the fennel to nursing mothers. The product allows you to increase the production of breast milk and to establish lactation. In small amounts in the digestive problems or nervous strain the fennel can be consumed for pregnant women. But one must always take into account individual intolerance to the components of the plant, including in the treatment of colic in newborns. For babies to prepare an infusion of fennel can be used raw material of pharmacy. For this a teaspoon of crushed fruits of dill, pour a glass of boiling water, or liquid for half an hour. Strain the chilled dill water can give the baby the bottle or with a spoon. It is best to give the infusion of fennel fruit in between feedings, because the mass reduces appetite. Enough to eat one tablespoon of drug in the day to notice a positive effect. To save time, you can use the drugs, based on fennel. This can be a finished tea with pharmacy dill, "Plantex". These drugs do not require steeping and straining, they are made taking into account dosage. Fennel can not only give a newborn to drink from colic, but use dill water for the treatment of skin inflammation, diaper rash. For these purposes the infusion of fennel added to the water for bathing, wipe the areas with rashes or cotton pad soaked in dill water.